A British tourist was kicked out of the Kingdom by immigration officials after seeing her passport with missing pages which she ripped out to use as toilet paper. 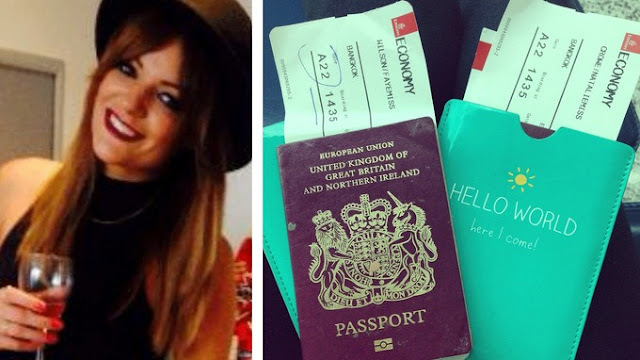 Faye Wilson was escorted back to the UK by a security guard after officials saw the missing pages in her passport. She said she was too ashamed to tell the truth; claiming she had lost the pages instead. However, officials didn’t buy her excuse and immediately deported her, itv.com reported. “Thai immigration just opened my passport and started looking through it, and asked ‘what’s happened here’?” the hairdresser, aged 28, said. “I just said that I had lost the pages because I was too embarrassed to explain the real reason. Before I could explain more, they had deported me back to Dubai and then to Glasgow and confiscated my documents. The British tourist said she doesn’t have much memory of the night she and her friend were out. “We were walking from one bar to the next and we must have been desperate for a wee and obviously didn’t have any toilet roll,” she said. Wilson has had to return to the Lake District and apply for an emergency passport before she can attempt the trip again.